Urbanisation and urban development issues are the focus of this comprehensive account which introduces readers to the far-reaching changes now taking place in Chinese cities. John Logan is Distinguished Professor of Sociology at the University of Albany, SUNY and Director of the Lewis Mumford Center for Comparative Urban and Regional Research. He is the co-author of Urban Fortunes: The Political Economy of Place (1987), Beyond the City Limits (1990) and Family Ties: Enduring Relations between Parents and their Grown Children (1996). Part I: Introduction to the New Chinese City:. 1. 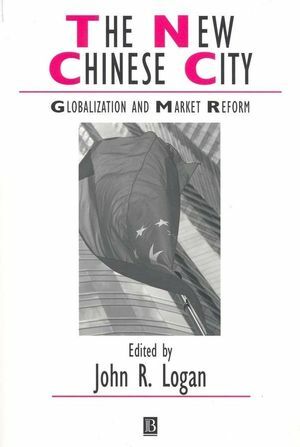 Three Challenges for the Chinese City: Globalization, Migration and Market Reform: John R Logan (University of Albany). 2. The Present Situation and Prospective Development of the Shanghai Urban Community: Duo Wu (East China Normal University) and Taibin Li (Shanghai Young Administrative Cadres College). 3. The Development of the Chinese Metropolis in the Period of Transition: Xiaopei Yan (Zhongshan University), Li Jia (Zhongshan University), Jianping Li (Zhongshan University) and Jizhuan Weng (Zhongshan University). Part II: Globalization and Urban Development:. 4. The Prospect of International Cities in China: Yixing Zhou (Peking University). 5. An Entrepreneurial City in Action: Emerging Strategies for (Inter-) Urban Competition in Hong Kong: Ngai-Ling Sum (University of Lancaster). 6. The Hong Kong/Pearl River Delta Urban Region: An Emerging Transnational Mode of Regulation or Just Muddling Through? : Alan Smart (University of Calgary). 7. The State, Capital, and Urban Restructuring in Post-Reform Shanghai: Zhengji Fu (King's College London). 8. The Transformation of Suzhou: The Case of the Collaboration between the China and Singapore Governments and Transnational Corporations (1992-1999): Alexius Pereira (National University of Singapore). Part III: Market Reform and the New Processes fo Urban Development:. 9. Market Transition and the Commodification of Housing in Urban China: Min Zhou (University of California at Los Angeles) and John R Logan (University of Albany). 10. Real Estate Development and the Transformation of Urban Space in Chinese Transitional Economy: With Special Reference to Shanghai: Fulong Wu (University of Southampton). 11. Social Research and the Localization of Chinese Urban Planning Practice: Some Ideas from Quanzhou, Fujian: Daniel B Abramson (University of British Colombia), Michael Leaf (University of British Colombia) and Tan Ying (formerly Tsinghua University). Part IV: Urban Impacts of Migration:. 12. Migrant Enclaves in Chinese Large Cities: Fan Jie (Chinese Academy of Sciences and Peking Normal University) and Wolfgang Taubmann (University of Bremen). 13. Social Polarization and Segregation in Beijing: Chaolin Gu (Nanjing University) and Haiyong Liu (University of North Carolina at Chapel Hill). 14. Temporary Migrants in Shanghai: Housing and Settlement Patterns: Weiping Wu (Virginia Commonwealth University). Part V: Urbanization of the Countryside:. 15. Return Migrant Entrepreneurs and Economic Diversification in Two Counties in South Jiangxi, China: Rachel Murphy (University of Cambridge). 16. Region-Based Urbanization in Post-Reform China: Spatial Restructuring in the Pearl River Delta: George C S Lin (The University of Hong Kong). Focuses on urbanisation and urban development issues in China. Links questions of change within China to its renewed global connections. Brings international exposure to the best Chinese urban scholars. Reflects the most recent scholarship.